1. Self-drive tour: Drive through the islands to enjoy the nature’s beauty. Shores of the sea are dotted with lush green vegetations. Scenic beauty and unpolluted environment mesmerize the attention of tourists. The silvery sands, azure blue clear waters and pleasant surroundings hypnotize the attention of globetrotters. Agalega, Rodrigues and St. Brandon are the most beautiful islands of Mauritius. 2. Chill on beach: Shimmering Beaches scattered in the nation are ideal places for a relaxing beach vacation. It feels awesome to just lie around with sand and water all around while having some drinks like whisky, cocktail, mocktail, rum and other spirits. These sea shores are the wonderful locations to rejuvenate. For adrenaline junkies, there are plenty of water Sports that can be enjoyed by the tourists are Sea Kayaking, Deep-Sea Fishing, Kite-Surfing and Blue Safari Submarine. These are the thrilling activities that are loved by adventure travelers and they can be enjoyed in River Noire, Le Morne, Flic en Flac, Grand Baie and Trou aux Biches. 3. Immerse in local culture: The country also celebrates many colorful festivals. These festivals and fairs are the perfect chance to know and experience the unique culture, tradition and society of the region. Popular festivals celebrated by the citizens with great enthusiasm and gaiety are Holi, Raksha Bandhan, Pere Laval and Pilgrimageal. All these festivals celebrated by the society prove that they represent mosaic fashion of art and culture. Religions followed by people are Hindu, Christian and Muslim. 4. Food: Mouthwatering Cuisines of Mauritius also attract tourists to great extent. It is no doubt a great place for seafood lovers. No worries whether you are Chinese, Japanese, Indian or traveler from other countries, each visitor can easily find foods of their interest and choice. The ways they serve people and taste of the cuisines depicts the ethnic society of the location. Creole cuisine is one of the awesome delicacies. 5. Nature and wildlife photography: Mauritius is also a favorite destination for wildlife photographers and videographers. Millions of mammals, birds, reptiles, avifauna, butterflies and mollusk species are available in dense forests. 670+ plant species are also available in the lush green vegetation areas. Dodo is a flightless bird species which was extinct from the region. One can discover the story of this particular bird species from the museums located in the island. 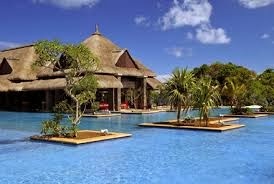 So, check out fantastic Mauritius Holiday Deals on the internet to enjoy marvelous Mauritius Tour.